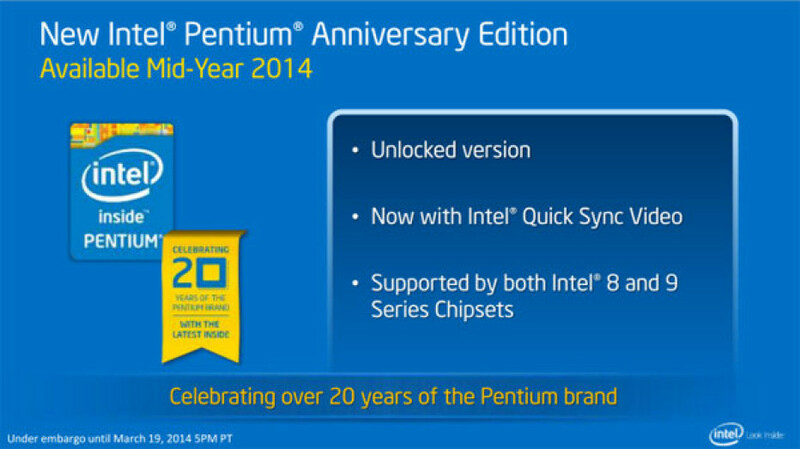 US chip maker Intel plans to release an unlocked version of its Pentium processors to celebrate 21 years since the release of the first Pentium processor back in the distant year 1993. The chip will be based on the latest Haswell architecture and will work on all 8th series and 9th series Intel chipsets and motherboards sporting this hardware in particular. Unfortunately there is no more information on this chip but it seems that budget-oriented overclockers will get a shiny new toy to play with.